I make wearable goods and home goods. 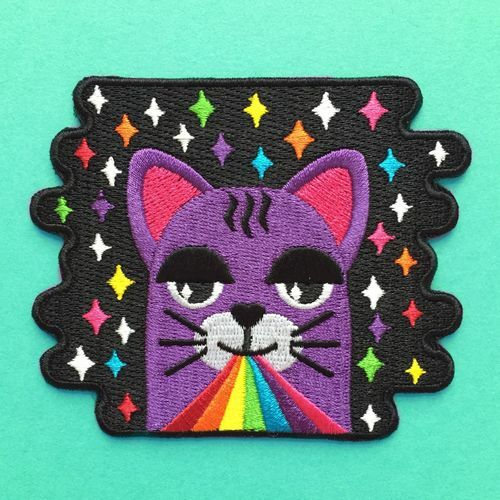 This means pins, patches, cards, prints and more! My products are fun, brightly colored, and bring a little bit of joy to the sometimes dreary, everyday life. The time my parents decided to buy a real Christmas tree only to get it into a warm, toasty home and find out that it was infested with spider eggs.. and they started hatching! It was scary at the time but we all find it funny now… and avoid real trees (at least from sketchy tree dealers). It is affordable, made by an independent artist, and can be added to just about any piece of wearable accessory to give it your own personal touch. Your best friend, your mom, your dog, your boyfriend or girlfriend, your second cousin, so… everyone.